Cure Natural Aqua Gel is a product from Japan that's been all the rage in Asia for the past few years, and has begun to make its way to the West (when I see reviews for Cure on Makeupalley, I know it's officially mainstream!). While I've been using this product for quite awhile, I realized I've never done my blogger duty and actually reviewed this product. So here we go! Cure advertises itself as providing gentle exfoliation without any harshness. 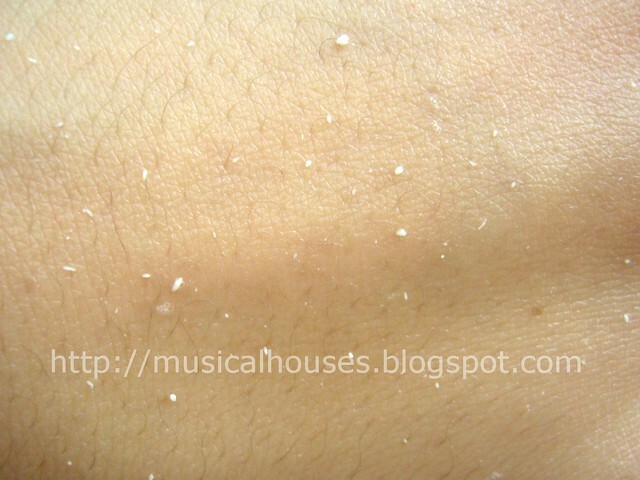 This is because it doesn't use physical beads to exfoliate, like most exfoliaters do. Also, unlike other chemical exfoliators, it doesn't use acids either. Instead, my understanding is that there are ingredients in there that "peel" once in contact with skin. So the soft, balled up product ends up exfoliating the skin, instead of an acid, or a physical type of grit. But you don't want me to blab on right? You want to see some photos! The gel itself is colourless, odorlous, and is just clear gel. But once you massage it around your skin a little, you will see that the product starts balling up, and you get little white balls all over your skin. It's quite exciting actually, and the novelty of using something like this doesn't die out easily. How is all that dead skin coming off? Honestly, I've no idea, but it feels good. My guess is that not all of that is dead skin - some is dead skin, and some is product (If it were all dead skin I imagine you'd see chunks of skin missing.) Together, you get a very good exfoliation experience. 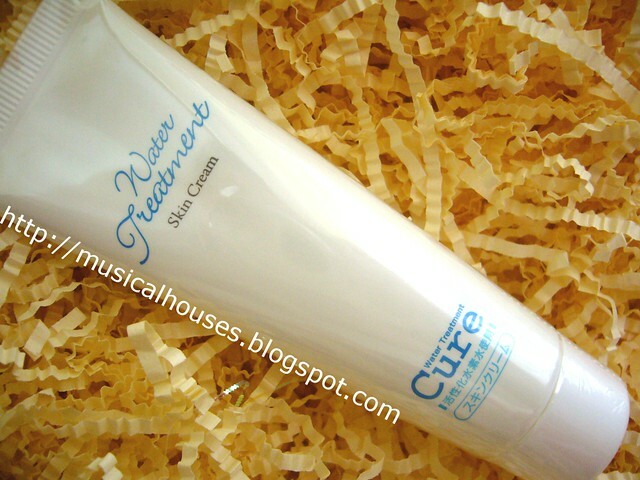 The next thing I also have from Cure is the Cure Water Treatment Skin Cream. This was actually made for the company's own staff who suffered from dry hands due to daily handling of cardboard boxes! It isn't for sale now, but Cure is currently giving away 600 free tubes of this as part of Cure's 10th anniversary celebrations! This is a very nice lightweight cream. It really feels more like a very light lotion, rather than a cream of any sort. And it has a very watery feel, too. Once you apply the cream, it sinks in very fast and doesn't leave behind any residue at all. It's so quick and easy to use, and it feels good on the skin too. 2. Email your particulars [name, mailing address, contact number] and a screenshot of their purchase receipt to enquiry@japalang.sg by 23 July 2012. Winners will be announced weekly at Cure’s Facebook page. Last words: there's going to be a giveaway up really soon on this blog! I'm excited, of course, and I hope you are too! I like anything that exfoliates well. Need to try this one. I've tried the gel before, definitely prefer it to those exfoliators that feel like there's sand in them. This one makes my skin feel really soft and smooth after exfoliation. 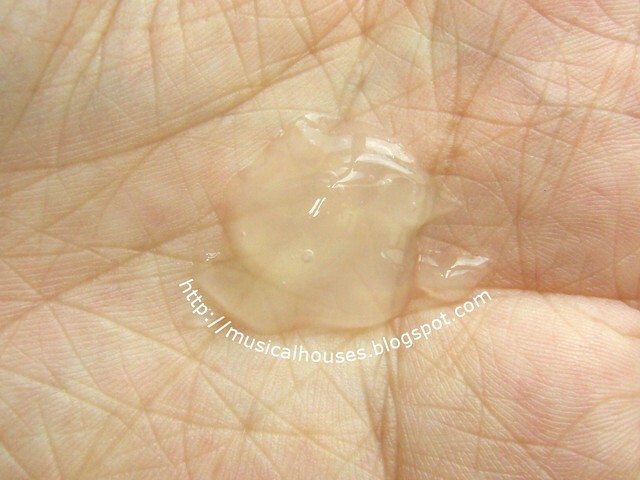 I have a similar product from Etude that I bought in Korea that "peels" and I was so curious about it- when I rubbed some on a piece of plastic, it still "peeled", so I thought maybe it was kind of a rip off, like it's only pretending that dead skin is coming off. But I knew that when I used it on my skin, my skin was softer and dead skin definitely came off (I could tell because I'm very tan, and the "peel" bits are kind of brownish - gross- when I use it on my skin). I'm glad I read this review because it clears up how my product works- and now I know of a similar product I can buy in the US! Also, I think I might like this product more because what I have is a foam, and it doesn't really need to be a foam.